Current affairs magazines held their own in the second half of 2016, with combined circulation across all titles up 1.43% year-on-year to 1.24 million copies. The growth of the sector was driven by Private Eye, which added 19,891 to take its total to 236,963. This means Private Eye overtook The Economist as the UK current affairs magazine with the biggest circulation, according to the latest ABC figures for the six months up to the end of December. The Economist upped sales of its digital edition 4.9% to 79,853, but this gain was wiped out by a 2.8% slide in print circulation – meaning the combined figure of 235,670 was down 0.3%. Michael Brunt, chief marketing officer and managing director of circulation at The Economist, pointed out that despite the magazine’s slight dip in total circulation, the actively purchased rate was at an all-time high of 96%. The magazine’s print subscriptions were 129,007 out of a total of 155,817 print copies. Brunt said The Economist had doubled the profits of its circulation business in two years by targeting full-price subscribers and reducing subsidised subscriptions and bulk copies. He said: "We have more than doubled our circulation profits by showing our globally curious audience that we can meet their demand for trustworthy, rigorously researched journalism." This also benefitted the commercial side, he added: "When we talk to our clients, the fact that we have such a high proportion of actively purchased is meaningful to them." Private Eye said that as well as its highest average ABC figures to date, it had enjoyed its highest ever sales for a single edition, with 287,334 copies for the 2016 Christmas issue. 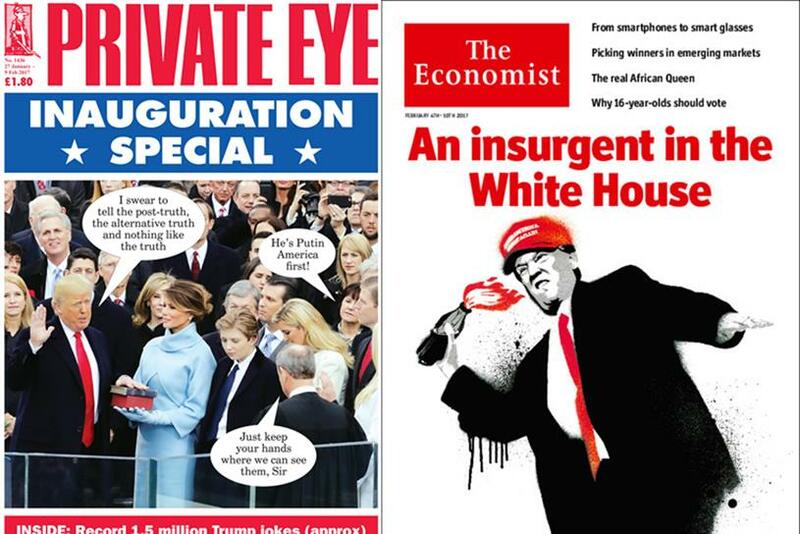 Editor Ian Hislop said: "More people buy Private Eye than attended Trump’s inauguration. Fact. Possibly." Right-leaning title The Spectator enjoyed the biggest proportional boost to its circulation, which reached 73,900 – up 17.1% year-on-year and 8.4% on the first half of 2016. There was also growth for The Week (up 1.3% to 197,530), Money Week (up 2.1% to 45,749), the New Statesman (up 4.8% to 29,209) and Prospect (up 2.3% to 27,517). But the UK edition of Time – the fourth biggest title in the sector – lost 12,291 copies, taking its circulation to 92,405. Sarah Hennessy, managing director of MEC, said the growth of the sector, in contrast to most other magazine categories, which are in circulation decline, reflected the uncertain times in the world. The period the data covers began one week after the UK’s EU referendum and ended three weeks before the inauguration of US president Donald Trump. "There’s the implications of Brexit from an international perspective, and a general heightened interest in the global political landscape," Hennessy said. Most titles also derived a high proportion of their sales from subscriptions: 57.1% of Private Eye’s worldwide sales came from subscriptions, compared to 72.2% for The Week. Hennessy added that the value readers placed on current affairs titles could make them attractive to advertisers. "For certain brands and sectors, the audience will be highly engaged, probably influential," she said. "If you buy into a magazine brand and are a regular reader your level of trust in that brand is generally high."